Do you remember Adelbert Von Deyen? Of his first albums where the ambient rhythms used to rose and tumbled down dunes of sounds soaked in ether? 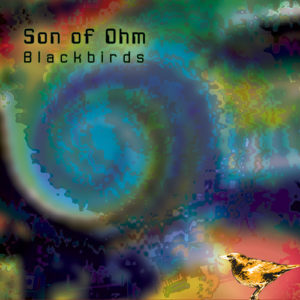 It’s a little, very much, the ambiances of the second album of Son of Ohm to be have been released in 2018. A bit like Blackbirds, “Electronic Muse” was conceived in spontaneity. If the idea of a tone embalmed of iodine and ether and of a specific flow germinated in the head of Leonardo Soundweaver for a long time, it’s only after having designed this exact synth patch that Son of Ohm undertook the writing and recording of his 4th album which is available only in downloadable format. One week was enough for the mix, the effects of gliss overdubs and mastering so that in the end “Electronic Muse” offers a texture worthy of a good old ambient Berlin School. Distortion waves and electronic chirps illuminate the route of organ pads which open the ambient procession of “Electronic Muse Part I”. We are in the cradle of the Berlin School of the Blackdance and the New Age of Earth years with this mist of ether that advances as the title eats the seconds of its time. Slow to develop, “Electronic Muse Part I” is like a sonic bird raptor that whirls in the loops of its circles while the rhythmic structure sculpts this ambient pace where the sequences go up and down an invisible staircase. The sweep of the layers leads us into a voracious whirlwind and the effects of distortions tear down this mesh of rhythm and euthanasiatic moods with jerky jolts which flirt with the psychedelic approaches of that era. The second part of the title offers a more musical approach with a more fluid rhythm and more disparate sound effects montage. “Electronic Muse Part II” advances on hot breezes before colliding with a first wall of very reactive sound effects. Circles, like kaleidoscopic effects, spin with increased velocity whereas jingles of woods are dancing tap-dancing in an environment blown by sounds and steams of sound machinery. At first undisciplined, these clacking of wood find a din cohesion in a storm of spheroidal elements as much disturbing as the unleashing of the winds and the effects of this title purely of ambiances … non-meditative. “Electronic Muse Part III” is the most animated title in “Electronic Muse”. Its opening is drinking of the percussive ambiences and effects of “Part II”. A delightful movement of the sequencer emerges from a convulsive tap dance, straightening “Part II” in a beautiful electronic texture which flows between stereo effects of distortions as well as parasitic and lunar sounds in a structure as musical as the 2nd part of “Part I”. “Electronic Muse Part IV” finishes this last opus of Son of Ohm with a nice ambient structure without noises but all in emotions with a cloud of layers to the paradisiacal colors. I must admit that the learning of “Electronic Muse” is not done smoothly at the level of the eardrums. The sound effects as well as these synth and organs pads that flicker like flames too drenched with alcohol require greater musical curiosity, but should however please the aficionados of this time of Manuel Göttsching and Klaus Schulze first albums, without forgetting the nebulous world of Adelbert Von Deyen. Pure ambient Berlin School that follows Blackbirds very closely! 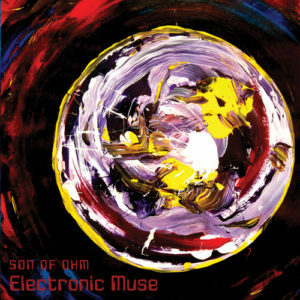 That’s what is waiting for you with this latest Son of Ohm’s album; “Electronic Muse”. Het album start met “Part I”, dat in een rustig tempo gespeeld wordt en een enigszins trieste ondertoon bevat, totdat Son Of Ohm besluit het roer om te gooien en over te schakelen op het maken van een schitterend stuk licht hypnotiserende krautrock, dat geïnspireerd is door de muziek van onder andere: Tangerine Dream en Klaus Schulze. Het laatste nummer, “Part IV” begint weer zwaar, om over te gaan in verrukkelijke hemelse klanken, die in een vrij rustig tempo gespeeld worden, me aan de new age muziek van Deuter doen denken en me tot rust brengen. A sound effect inspired by the sound of a jet airplane torturing the firmament opens the first seconds of “Morning Dew”. The hesitant movement of a sequencer which makes a key wandering around emerges slowly and gains fluidity, while the reactor propulsions stretch their effects which become layers trapped in a distress approach. Hypnotic and magnetizing, the gamboling rhythm turns into a ritornello as rhythmic as harmonic which hops in a sound fauna speckled by stigmatized long mechanical sighs. The rout of the sober movement is organized around the 4th minute while dozens of marbles tinkle on an ill-fitting conveyor. Despite this rain of unruly rhythmic marbles, the rhythm is still as primary with the same movement which now flows under good, well-tuned synth solos and the distortions of an old organ which capture “Morning Dew” in a retro approach. Composed in a gust of wind, for the needs of the Electric Spectrum Experience held at the end of this last June 2018 Groningen, “Blackbirds” is an album which breathes this promiscuity between the basic instruments that carved a minimalist EM bare of complexity in its long sonic journeys. As in the Syrinx and Astronaut albums, Son of Ohm’s music clings to the Berlin School model of the early 70’s with minimalist rhythmic structures which roll in loops and serve as a bed for a cloud of experimentations from synths and organs. Moreover, the first two titles were recorded live in Leonardo Wijma’s studio, we can hear the murmurs of blackbirds in the title track, reflecting this close creative collaboration between the musician and his instruments. The title track is a good example. It plunges us into the ethereal world of Klaus Schulze with organ pads which drift between electronic effects and these boosted winds which propel a movement of linear rhythm after the point of 6 minutes. The sequencer deploys a structure which lays down long harmonic zigzag under nice electronic effects of the analog years. The rhythm is fluid and bypasses those charming effects which stick to it, some from Kraftwerk in Autobhan. Hypnotic and catchy, “Blackbirds” is a real tribute to the old Berlin School. The rhythm shifts to a fluidity around 13 minutes with guitar riffs, helping to maintain the basis of this rhythmic structure. Good synth solos follow the bends of the organ pads while the guitar accentuates its presence with such good solos, awakening reminiscences of Ashra and adding a touch of psychedelism to this title which draws its inspirations from the songs of the blackbirds during its genesis. Composed in 2016 with a similar approach, “Velvet Sky” is an ambient track worthy of the belle époque. The mesmerizing structure is sculpted on oscillating loops of low frequencies that roll on a long minimalist course where whistle a panoply of sound effects which embrace the borders of psychedelism and occultism. Simple and minimalist, we can’t avoid the many traps of bewitchment that seizes our ears while listening to “Blackbirds”. In the end, this is the perfect example of how EM was made in the early 70’s. With equipment reduced to a minimum, Son of Ohm shapes a music built to be played in close connection with the listener, both in our living room and/or in concert. At this level, “Blackbirds” flows equally well with or without headphones. A beautiful album which will seduce the fans of the first works of Ashra Tempel and Klaus Schulze, whose improvisation sessions in the early 70’s still make their fans talking about…some 50 years later. ….ook maakte hij, net als bij vorige uitgaven, het prachtige hoes ontwerp weer zelf en dat deed hij eveneens voor het CD-R album “Blackbirds” dat in juli 2018 via SynthMusicDirect verscheen. Het album bevat slechts 3 nummers, waarvan “Morning Dew” het eerste is en daarin hoor ik Son Of Ohm een schitterend krautrock nummer spelen, dat een hypnotiserend terugkerend ritme heeft, waar hij zijn duistere elektronische klanken omheen bouwt, zodat ik van begin tot einde in de ban van zijn muziek raak. Het laatste nummer heet “Velvet Sky” en daarin schotelt hij me opnieuw een fantastisch elektronisch nummer voor, waarin een terugkerend ritme zit, dat hypnotiserend op me werkt en ik in een lichte trance kom. It’s following the reviews I wrote about Sula Bassana music that I was put in contact with Son of Ohm. According to the information which was given to me, “Astronaut”, 2nd opus of Son of Ohm would meet these criteria of seduction which had transported me during my listening and my chronicles of the albums The Ape Regards His Tail and Organ Accumulator / Disappear. But first of all, who is Son of Ohm? It’s a Dutch musician, Holland became a real arboretum of artists propelled by the Kosmik Musik or the Berlin School styles, who is very active on the musical scene since the end of the 90’s. Very attracted by a psychedelic approach, Leonardo Wijma is inspired by a whole range of artists who go from Ash Ra Temple to Led Zeppelin by way of Gong (Steve Hillage) and Hawkwind, without forgetting timeless ones like The Beatles, Bowie, Zappa, Tangerine Dream and Klaus Schulze to name only those. And it’s under various names (Leonardo Soundweaver, Astral Son and Son of Ohm) that the musician of Groningen gathers a public as much diversified as his styles which go from cosmic music to psychedelic music, Krautrock and a more experimental kind as well as the minimalist sequenced model of Ashra. In brief, a pallet of styles that we can meet in one of his albums, like this one. A chord of a grave tone spreads its fathomless shadow at the same time as a stroboscopic wave spins in order to weave the floating rhythm and gently jerky of “The Brain Connection”. Subtly, the dark malaisante shadow is transformed into an abstruse melody which is bombarded by a sequencer and its minimalist mode into a cosmic decoration of the vintage years, while a line of bass pulsations crumbles some splendid percussive effects. Little by little, the rhythmic skeleton scatters its resources to isolate only a crystal clear sequence which skips shyly in a soundscape closer of oblivion with layers of lugubrious organs which transform their platonic tunes into a line a little more acute. There are enough elements of seduction in this title to push a little farther my discovery of Son of Ohm’s universe. You should not trust the title of “Floating” to judge of its contents. Far from being floating, the title approaches our ears with extraterrestrial organic effects which grasps a good structure which is livened up by a Krautrock approach of the good years of Ash Ra Tempel. Two lines of rhythm contiguous give a rhythmic life while separating their approaches among which one which aims to be more harmonious while the other line is a bass one which is more in mode minimalist beat. Layers, keyboard riffs and effects add a Space Rock dimension to this track which espouses a bit the finale of “The Brain Connection”. To my ears, the slow and very hypnotic rhythm of “Intermission” is the small jewel of “Astronaut”. Very close of Richard Pinhas’ territories in his Iceland to L’Ethique era, the rhythm is forged in a meshing of sequence moiré which sparkle and skip in a structure crawling and speckled of splendid nuances in its progression. The melody, weaved in the harmonies of a synth in mode nostalgia, is as much mesmerizing as its rhythmic skeleton and its soundscape as well as the percussive effects which will blow your ears away. Splendid! In its rhythmic structure, just as much minimalist and charmingly reminiscent of Ash Ra Tempel’s vintages years, “Time Machine” is not outdone with its rhythmic structure charmingly raised on a movement of guitar loops a la Manuel Göttsching which roll and wave in a fascinating esoteric landscape with juicy percussive effects which are absolutely attractive. But “Intermission” throws at it too much shadow. That’s says quite a lot about the depth and the wealth of this title. Also well settled on loops of sequences and oscillating waves which structure an ambient rhythmic approach, “Spaceman” brings us to a degree of tension which had been contained up to here in the first 4 tracks of “Astronaut”. It’s chords from a dark keyboard which throw this aura while layers and surrounding noises satiate our listening by a touch of psychedelism set up in a shape of sound psychosis. Intense and icy, “Spaceman” reflects particularly well the idea behind its title! “Hypnosis” is a purely an ambient title. Modulations of waves push effects of jerk which float with alternate impulses in a dense veil weaved in fruits of the vapors from some soft drugs. This is a superb and a true vintage psybient! As first contact, I have adored the music of “Astronaut” which is a very interesting album in a modern society which too often forgets its past. The music is nostalgic but is never outmoded by the new technologies which facilitate now the art to create electronic music. Manuel Göttsching’s influences and this Space Rock a la Ash Ra Tempel are well felt here but they are never an obstacle to the creativity of Son of Ohm. I look forward to discovering Syrinx now! 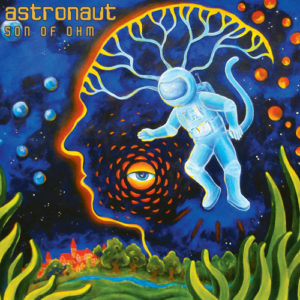 “Astronaut”, dat 6 vrij lange nummers, inclusief een bonus nummer bevat, start met “The Brain Connection” en daarin hoor ik Son Of Ohm een schitterend, vrij zwaar, dreigend, ruimtelijk klinkend elektronisch nummer spelen, dat een licht hypnotiserend ritme heeft en halverwege verandert in een luchtiger stuk spacerock, dat in een niet al te hoog tempo gespeeld wordt. Daarna schotelt hij me “Floating” voor en krijg ik een fantastisch dansbaar hypnotiserende krautrock te horen, waarmee hij me in een liche trance brengt (luister naar dit nummer via de youtube link onder de recensie) en dit wordt gevolgd door “Intermission”, een lekker in het gehoor klinkend krautrock nummer, waarin een terugkerend ritme voor een licht hypnotiserend effect zorgt en invloeden van Klaus Schulze hoorbaar zijn. In “Time Machine” gaat Son Of Ohm verder met het maken van zijn verrukkelijke krautrock en krijg ik opnieuw een heerlijk licht hypnotiserend nummer voorgezet, waarbij stil zitten geen optie is en in “Spaceman” laat hij me nogmaals genieten van zo’n geweldig stuk hypnotiserende krautrock. Het bonus nummer heet “Hypnosis” en daarin krijg ik een mix van elektronische psychedelische muziek en Oosterse invloeden te horen, die in een vrij rustig tempo gespeeld wordt. Son Of Ohm ist Leonardo (Soundweaver) aus Groningen in den Niederlanden, das Land, das für seine Vorliebe für elektronische Musik weitläufig bekannt ist und dem schon sehr viele hochkarätige Talente im Stil der Berliner Schule und der kosmischen Musik entsprungen sind. Leonardo dürfte vielen auch durch sein Projekt Astral Son, dessen Alben über Sulatron Records vertrieben werden, bekannt sein. Nach Syrinx aus dem Spätjahr 2015 überraschte er uns am 28. September mit seinem zweiten Album Astronaut, das genau wie das eben genannte Vorgängeralbum auf seiner Bandcamp-Seite https://sonofohm.bandcamp.com begutachtet und bei Gefallen zu einem fairen Preis heruntergeladen werden kann. Außerdem gibt es das Album mit einem Bonus-Track auf CD. Alles dazu findet Ihr auf seiner Homepage http://www.sonofohm.com. Krautansätze mit einer gehörigen Portion an psychedelischen Einflüssen, erzeugt mit Synthesizern, Vintage-Orgel, Elektro-Space-Gitarre und verschiedenen anderen Instrumenten. Sehr kosmisch und spacig, so geht es in seinen verträumten Melodien zu, und der Einfluss der deutschen elektronisch-experimentellen Musik der 70er Jahre lässt sich kaum leugnen. Da werden Erinnerungen geweckt, und Namen wie Ash Ra Tempel, Tangerine Dream bzw. Klaus Schulze, Edgar Froese, Manuel Göttsching usw. – oder pauschaler gesagt: Vieles was uns die damaligen Label Brain und Ohr zu bieten hatten – fallen einen spontan dazu ein. Das aus fünf Titeln (plus einem Bonus-Track auf der CD) zwischen sieben und vierzehn Minuten bestehende Album ist ein symphonisches Gesamt-Meisterwerk, bei dem vom Flow her alles perfekt aufeinander abgestimmt ist, und gerade diese Harmonie, bei der alles zu einen einzigen, facettenreichen aber gradlinigen Klangteppich verwebt ist, das ist das, was nicht nur mich fasziniert, sondern auch viele andere Befürworter in der EM-Szene finden wird. Lehnt euch zurück, vergesst für eine Weile jegliches Raum- und Zeitgefühl und taucht ein in die unendlichen Weiten unseres Universums – und ihr werdet viel altbewährtes wiederentdecken, gepaart mit neuen Komponenten, deren Kreativität keine Grenzen gesetzt sind. 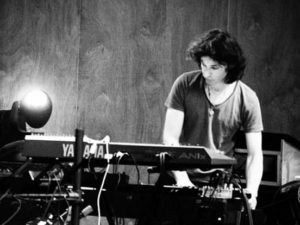 Achter Son Of Ohm bevindt zich de Nederlandse musicus Leonardo Soundweaver. We kennen hem onder meer van de Krautrock/spacerockband Astral Son. In iO Pages 133 besprak ik het album Syrinx. Deze muziek was geënt op de begintijd van de Berlijnse School en leek op de muziek van Ashra Tempel/Ashra en Manuel Göttsching. Op Astronaut, verkrijgbaar als download en cdr, gaat het niet zo zeer om de invloeden van artiesten. Het album ontstond vanuit de instrumenten die Leonardo tot zijn beschikking heeft, zoals een Moog synthesizer. Dit levert afwisselende en interessante muziek op met een fraai pallet aan geluiden en sferen. Het album opent in The Brain Connection kalm en licht ritmisch met een gave bastoon. Het tweede deel is als spacemuziek en kent de sound van een glissando gitaar, bekend van onder meer Gong en Steve Hillage. Floating vind ik het sterkste stuk: het bevat een prachtige zweverige arpeggio en zachte sequences die langzaam voller worden. Dit, verzegeld door een lekkere solo op synth, verwijzen mij naar een album als New Age Of Earth van Ashra. Dit is bijzonder knap gedaan. In Intermission horen we een voorzichtig elektronisch ritme. Bands als Cluster of Harmonium laten zich hier groeten. De sequencer speelt weer een belangrijke rol in Time Machine. Hierna is er ruimte voor orgel en een licht dreigende sfeer in Spaceman. Hypnosis, met fijne effecten, is bijna een ambientstuk. Wat ik sterk vind aan de Leonardo’s muziek, is dat hij het niet volstopt maar het houdt bij een betrekkelijke eenvoud en dat vind ik een bepaalde charme hebben. Er zit meer muziek aan te komen van Son Of Ohm. Ik kijk er naar uit. Is Astronaut a brief encounter without tomorrows or simply the following of an even more interesting album? 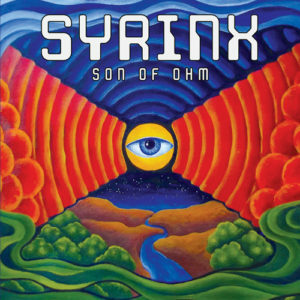 The very first album of Son of Ohm, “Syrinx” joins unopposed in this generation of albums appeared too late in the long chessboard of time, but which would have marked a whole generation. Behind a splendid artwork of the psychedelic years, “Syrinx” proposes another journey in the 70’s with a superb 46 minutes distributed well on 6 titles. A series of guitar riffs pierces the shrill effects of a synth which looks for itself between its approach spectral or cosmic. We would believe to hear a more modern Manuel Göttsching on a psybient never consumed of the vintage years. My ears perceive 2 lines of guitars in this very nice “Legend”, of which one weaves a more harmonious rhythmic approach whereas the other one releases discreet solos which roll in loops around sober percussive jingles. This meshing encroaches its minutes with a good undulating structure when the vibes rise of a tone with a good effect of intensity around the 4th minute. If the rhythm shows with elegance its minimalist finery, the synth spreads very good morphic solos and some good effects which feed the thirst of cosmic psychedelism of my ears. The title-track crumbles a movement of the sequencer with keys which make a strange circular dance. Jarrish winds cross this delicate choreography while percussions and graver chords add so much weight to the pace as intensity in the structure. The rhythm progresses with its continuous jolts which are knotted around a meshing of sequences, organic effects and percussions in an approach always minimalist which is supported by pallets of winds and sound colors which are so much in the domain of cosmic Berlin School than of the Space French School of the Space Art and Zanov years, in particular at the level of its dramatic envelope. “Crystal” proposes a structure of ambient rhythm with a circular movement of the sequencer which is coated by multilayers of winds and of effects of a synth always in mode French School. “Mount Om” is a good ambient and intense title with large synth layers which land in loops over a shimmering river of sequences moiré. Jean-Michel Jarre’s elements sparkle through these banks of melodious layers and cover an approach which adorns itself of some little more organic elements. Percussive effects arise of these gurgling, amplifying even more the wealth of “Mount Om” which little by little goes out of its apathetic lethargy to propose a structure of rhythm gone up on a bed of pulsations, sequences and very scattered percussions. An intense start, for one finale which is just as much! “Monkey Mind” and its rhythmic paradox is the first title which arouses our eardrums at the first listening of “Syrinx”. A nice pattern of lascivious down-tempo undulates whereas some motorik percussions influence a kind of very sluggish beat. The numerous effects form paradoxical lines to the structures of rhythm while a delicate vampiric melody spreads charms and magnetizing effects. The whole thing is well wrapped in a very cosmic soundscape. This one is very good too! Multiple synth effects, Aeolus and his anger as well as percussive effects take out a line of bass sequences of its hiding place in order to shape this bumpy structure of “Echoes”. The cosmic landscape floods the passive rhythm of lapidary effects while the synth shows its harmonic side with soloing forms which coo in loops. Grave chords as well as chirpings from a synth which is also a snake charmer reroute the oppressive walking of the rhythm towards a more fluid movement among which the effects and the synth sign the influences of Ashra on the music of Son of Ohm. Available as much in CD-r (on Neu Harmony) as in downloadable format, “Syrinx” is an album as interesting, several of you will find it superior because of the homogeneity, than Astronaut which had literally charmed me hardly one week ago. A prelude? Maybe, but not inevitably because both albums propose different approaches, always bound by a psychedelic vision of the tones, which possess their own charms and things which hang on a big smile on our faces. A very beautiful discovery for those who like a Berliner style of the 70’s, with a nice touch of France, and these sequenced rhythms which try to drill the mystery of the psychedelism. Het album start met “Legend” en daarin krijg ik een schitterende hypnotiserende mix van krautrock en spacerock te horen, die bijna 9 minuten duurt en daarbij is stil zitten geen optie (luister naar dit nummer via de youtube link onder de recensie) en deze wordt gevolgd door het titel nummer “Syrinx”, waarin Leonardo me een fantastisch stukje spacerock voorschotelt, dat gemixt mat de krautrock klanken voor een lekker in het gehoor klinkend nummer zorgt, dat in een niet al te hoog tempo gespeeld wordt en ook hierbij raak ik in de ban van zijn heerlijke muziek, die me aan onder andere Tangerine Dream en Klaus Schulze doet denken. Daarna laat hij me genieten van “Crystal” en krijg ik opnieuw een geweldig elektronisch nummer voorgezet, dat gevolgd wordt door “Mount Om”, waarin de muziek voorzichtig naar de new age neigt en ik een heerlijk rustig elektronisch nummer te horen krijg, dat me in een staat van rust brengt. Dan hoor ik “Monkey Mind” en hierin speelt Leonardo een lekker in het gehoor klinkend dansbaar elektronisch nummer, dat lichtelijk symfonisch klinkt en subtiele spacerock invloeden bevat, waarna “Echoes” volgt, dat tevens het laatste nummer van het album is en daarin krijg ik weer zo’n verrukkelijk ruimtelijk elektronisch nummer in de stijl van Klaus Schulze te horen.